Mastitis nosode is a homeopathic which can be used as a prevention or as a treatment for mastitis. 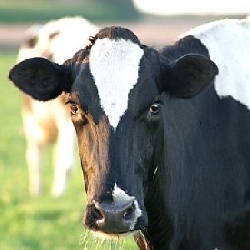 For prevention of mastitis in your dairy herd you can use Mastitis nosode homeopathic to be used in the troughs (500ml size) or you can order a bottle for a single cow (100ml size). For a prevention programme you can start early during cows pregnancy: Give one capful daily for 3 days into trough Then one capful once a week for one month Then one capful once a month until no longer needed. You can also start cows on this when they are already milking. If you have a cow which has already got mastitis contact Pat by email or phone. Pat will ask you questions then to establish which other homeopathic to use for that specific cow.